Today, let’s zoom in on one of the most interesting, yet still quite undiscovered, regions of Croatia: the Northern-Central Dalmatia. We’ll explore the amazing historical city of Šibenik and venture beyond its perimeters to experience thrilling adventures. Ready? 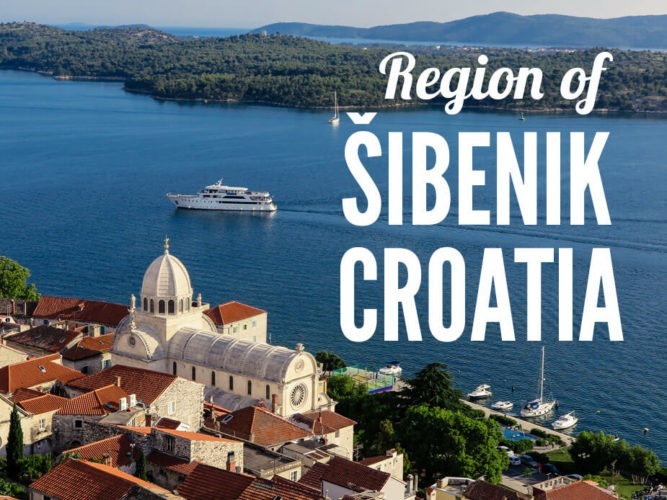 Did you know that Šibenik was the first city founded by Croats, not Romans or Greeks? That’s what differentiates it from its neighbor Split. 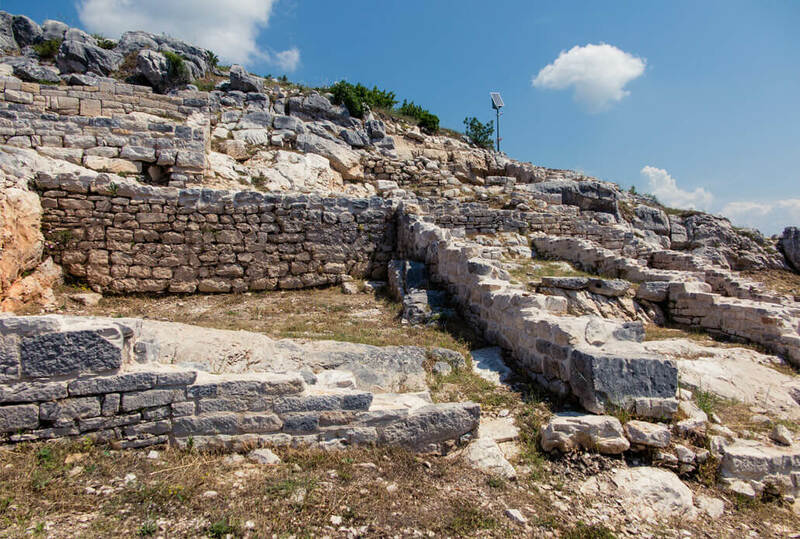 Šibenik was first mentioned in the 11th century, but may have existed since the 9th. Most of the architectural construction in the city comes from the 15-16th century and Sibenik currently has nearly 50 thousand inhabitants. Of those, only about one thousand live in the historical city center. Once you see it for yourself, you won’t be wondering why – the omnipresent steps and a lack of parking are the clear culprit here. 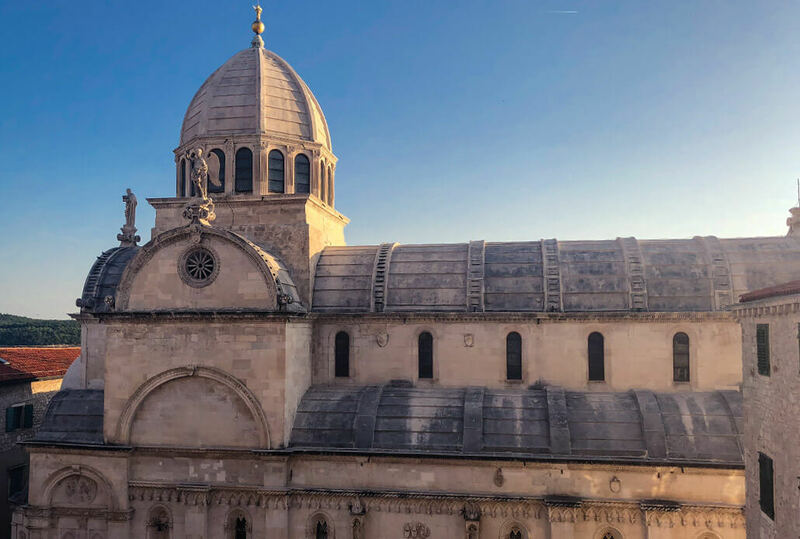 The absolute must see, and Sibenik’s main landmark, is the Cathedral of St. James. Once you enter the Square you’ll be awestruck and won’t give your camera a break. 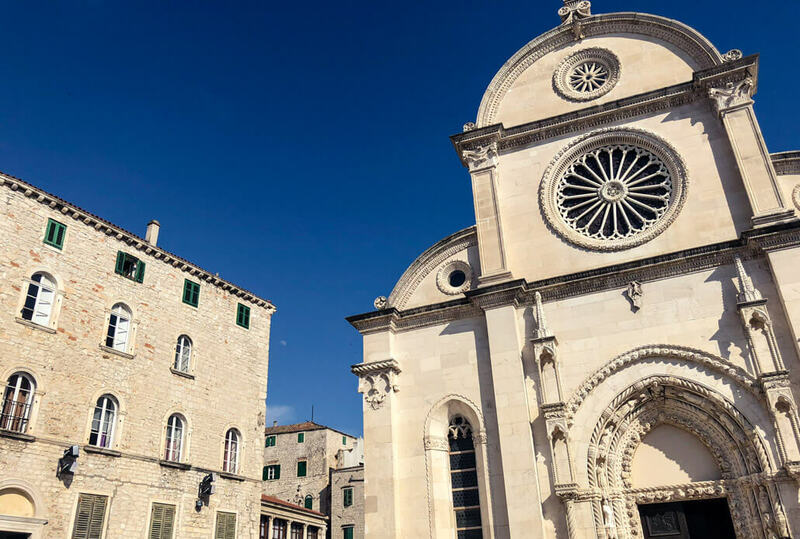 Any proper Sibenik sightseeing adventure should start with this exquisite Cathedral. A unique building style was used for the Cathedral – interlocking limestone slabs. There was originally no cement to hold the structure together (including the dome! ), just the pure genius of the architects and builders. This unique construction was one of the main reasons why the Sibenik Cathedral was granted the status of a UNESCO protected site. While firstly it was an Italian architect who was invited to work on the structure, the main person behind this magnificent edifice is George the Dalmatian (Juraj Dalmatinac or Giorgio da Sebenico). Back then in the 15th century, Dalmatia was a part of the Republic of Venice. George received schooling in Venice and thus he was able to bring the Renaissance style to the Cathedral, which was the first of its kind in Croatia. You can find a statue of George right by the Cathedral. St. James Cathedral is a real highlight of Sibenik! Nowadays, both the exterior and the interior are of a Renaissance style with Gothic details. 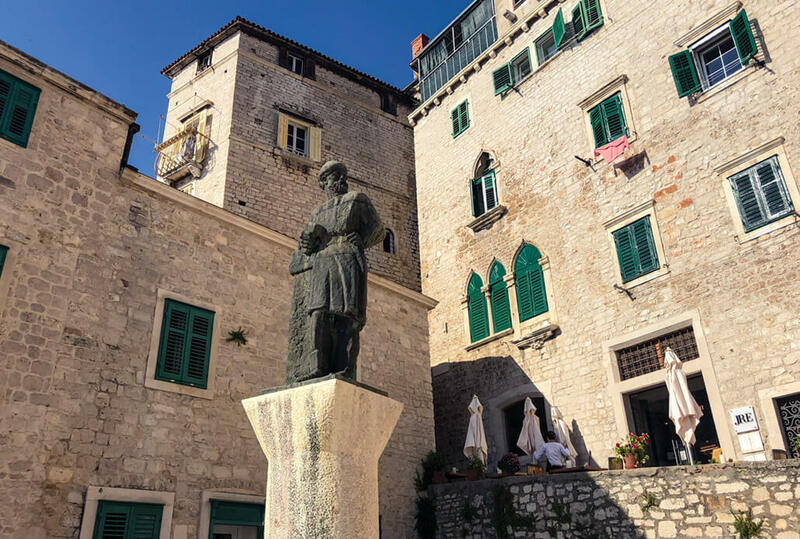 On the outside, you’ll notice 74 heads – the faces were actually modeled after ordinary people who lived in Šibenik at the time of building. On close inspection you’ll notice none of the heads look straight at the onlooker or at each other. Don’t forget to check out the Baptistery on the right behind the altar. Its position inside the church is quite unusual, as well as the detailed ornaments. There’s also no baby Jesus pictured among the decorations, as each baptized baby is considered to be a child of God. The whole square by the Cathedral, called Trg Republike Hrvatske (Croatian Republic Square), is wonderful with its open layout and stone ground. Notice the Town Hall right across from the St. James Cathedral. 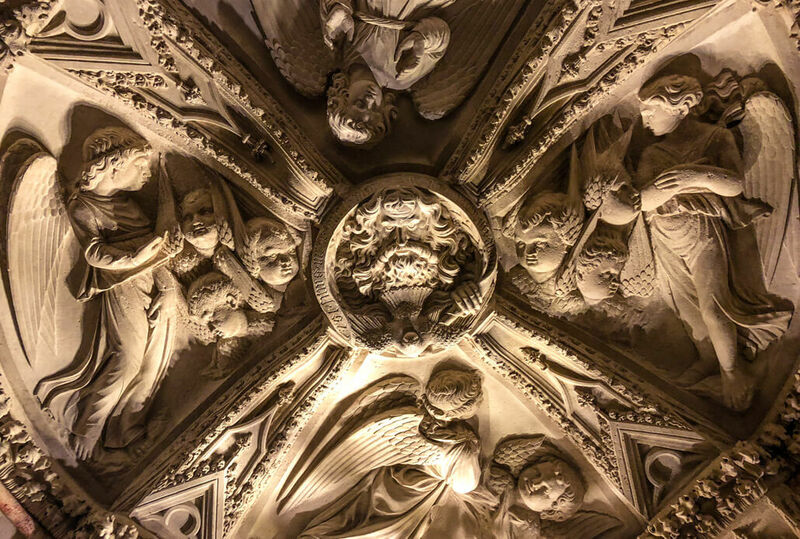 Inside the St. James Cathedral – wow, right? 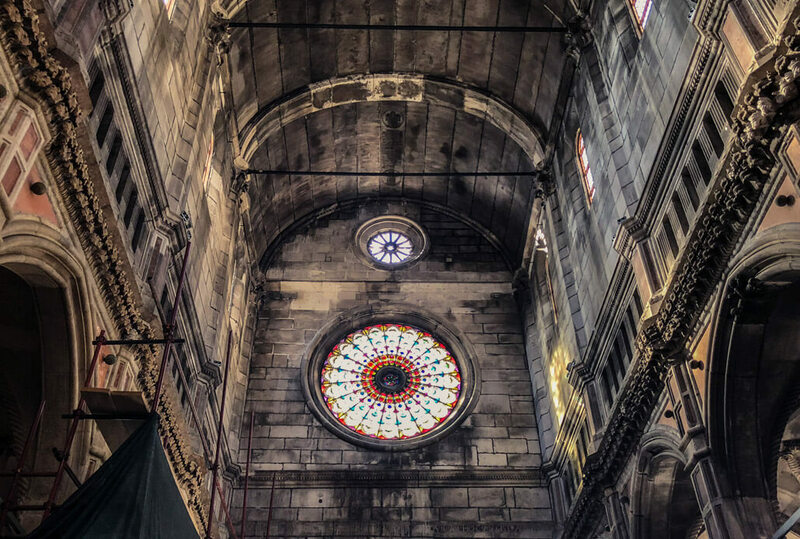 Look up at the St. Barbara Church located just behind the St. James Cathedral and check out its clock. It’s a 24-hour one! It constantly shows the winter setting, so at the time of our visiting, it was off by one hour. But still – how cool is that? The small Gothic church also features a pretty row of bells and a clean façade with just a few decorations. These days there’s a little art museum inside the Sibenik church. 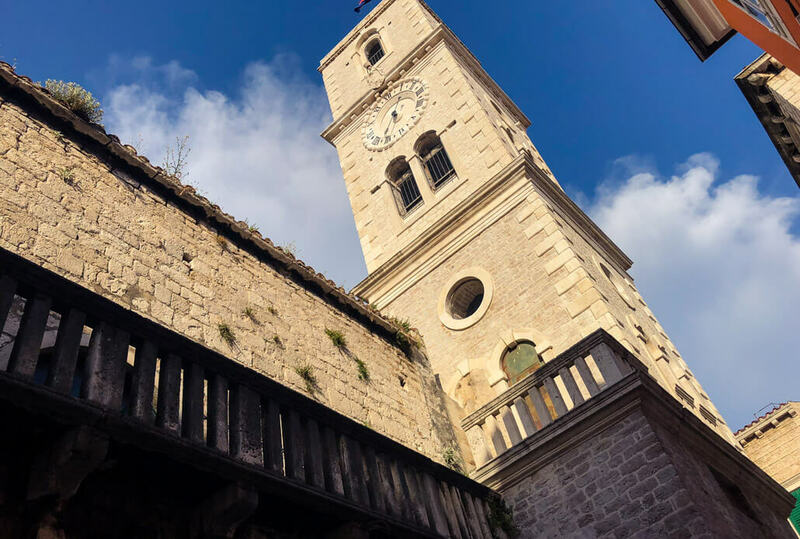 The Church of St. John used to be the most important one before the Sibenik Cathedral was built, as it was on the main route connecting the fortress to the town. The original outside staircase is one feature that makes the Gothic-Renaissance Church stand out. It’s actually how all churches were built back in the 14-15th centuries, but once the cities filled, the positioning of the stairs outside became problematic. Most churches thus had their staircase put inside, but this one was allowed to keep it. The oldest of the four fortresses that you can find in Šibenik is Saint Michael’s Fortress, which was built in the 8th century and destroyed and rebuilt many times since then. Sometimes it’s referred to as the St. Michael Castle. Actually the whole city of Šibenik was built around this fortress. Nowadays, it’s used as a venue for concerts and other events. 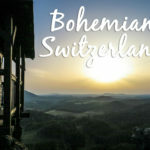 It’s considered to be one of the most prestigious venues in the whole region. 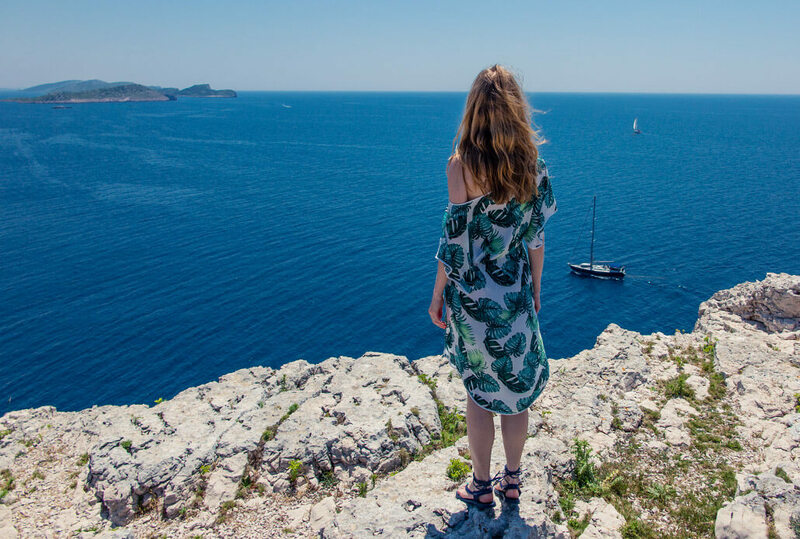 I highly recommend that you don’t leave this fortress out – it’s easy to visit just by taking a walk up from the city center and offers breathtaking views over the Old Town of Šibenik and the Adriatic coast. 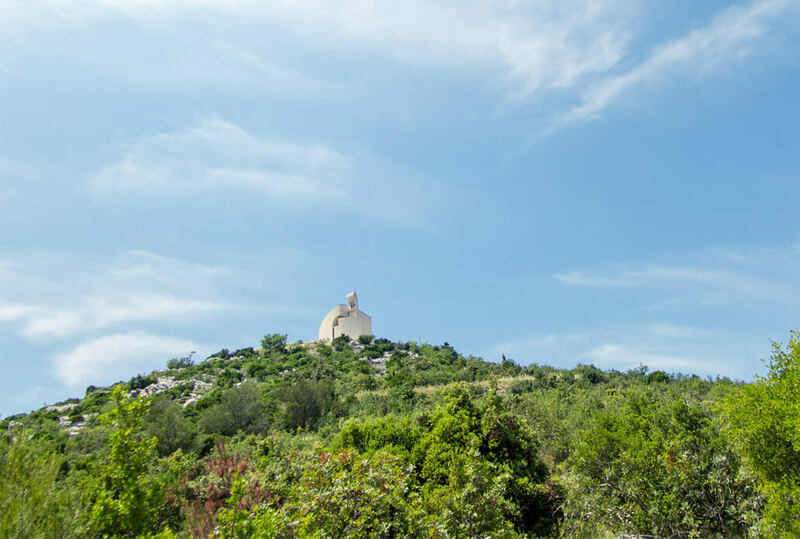 The Barone fortress has the highest position of them all and it served to defend the city, as all good fortresses usually do J It was built in only 2 months to defend Šibenik from the unavoidable invasion of the Turks. I haven’t visited the fortress myself, but apparently they have a cool VR showcase of the Ottoman invasion. The best way to reach the Barone Fortress is to drive. 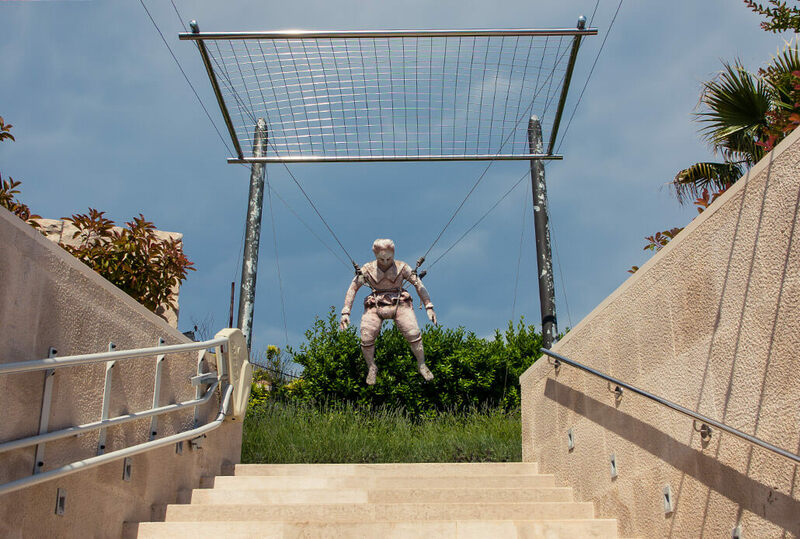 This fortress was also built at light speed – in only 6 weeks! The purpose of this star-shaped fortress was to defend the city from the Turkish attacks but nowadays you’re free to approach it. You can walk up to the St. John’s Fortress either from St. Michael’s Fortress or down to it from the Barone Fortress. 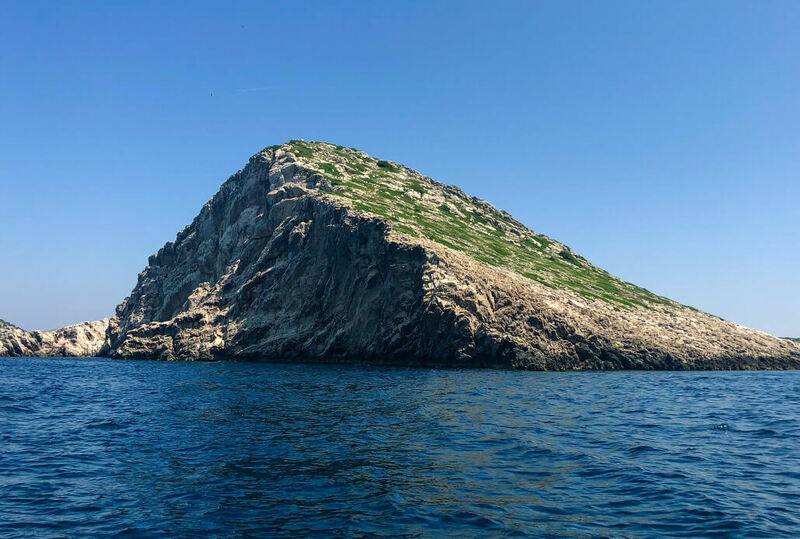 Look out over the sea in order to spot this impressive triangular fortress. While it was also built to protect from the Turks, this time the point of possible clash was expected to happen at sea – thus its position by the entrance to Šibenik Channel. The naval fortress is one of its kind on the Adriatic coast and is also protected by UNESCO. The fortress is currently being reconstructed and should open its doors to public in 2020. You can reach it on a boat or driving from Zablaće settlement (near the famous Solaris Resort). Simply put, there’s a lot packed in a small area. 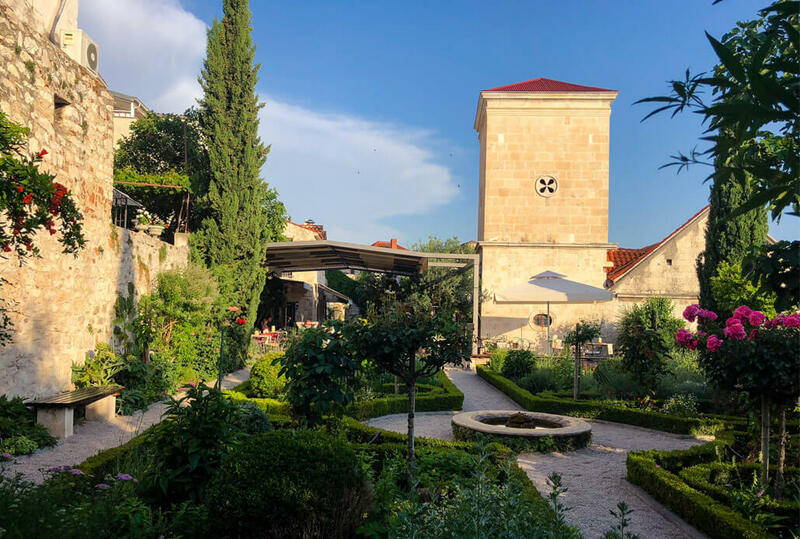 You can casually stroll through the garden, escape the heat of the day, try to pronounce the garden name in Croatian, admire a plant or two and sit down for a refreshing beverage. That’s a recipe for a wonderful afternoon in Šibenik. Šibenik had its fair share of affluent families – it shows in the number of houses decorated with columns. Many of them were abandoned by their original residents when a plague that swept the city in the 17th century wiped out 80% of the population. 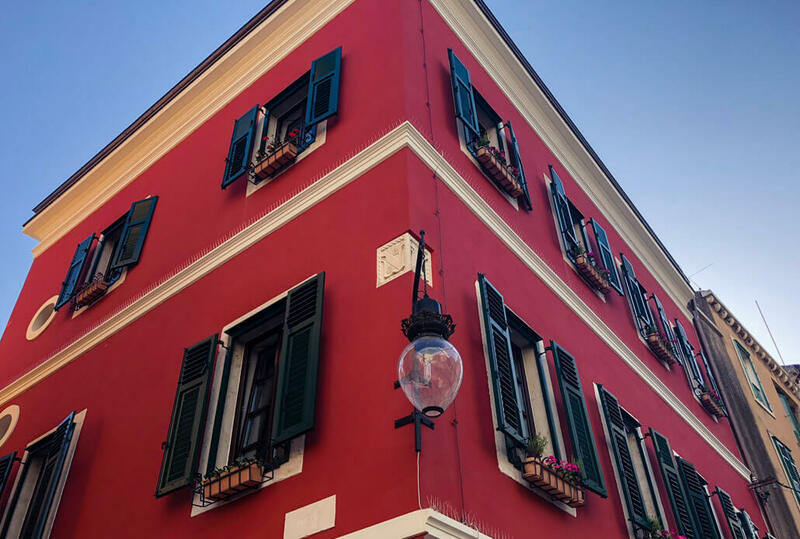 At the start of Dobrić Street you’ll find a bright burgundy house. The lamp on its corner hangs in memory of Nikola Tesla, a famous Croatian scientist who supplied Sibenik city with alternating current electricity. In fact, it’s here in Sibenik Croatia where electricity first flowed in a complete electro-energetic system, not at Niagara Falls, which is often considered to be the first electrified city! 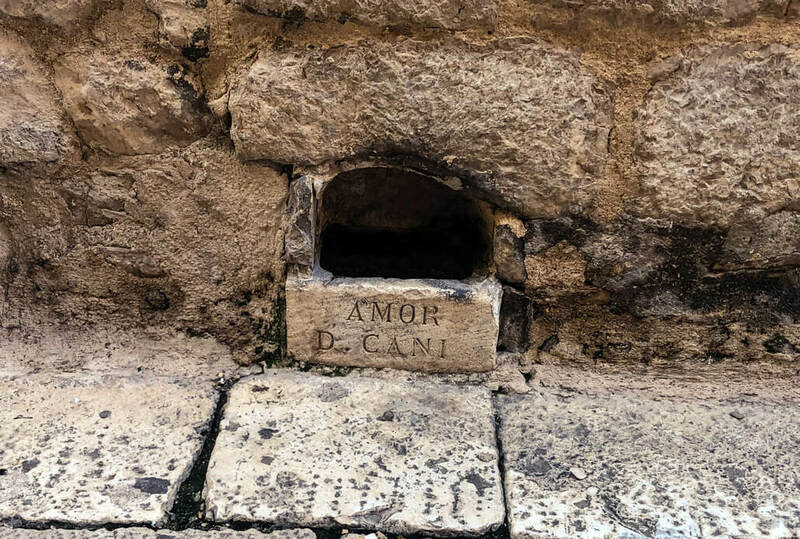 When walking along the Street of Kralja Tomislava, you’ll notice two small holes at foot level, carved out of rock with the inscription Amor D. Cani, meaning “For the love of dogs”. These are actually stone bowls for dogs to drink water from. A smaller bowl next to them is supposed to be for cats. 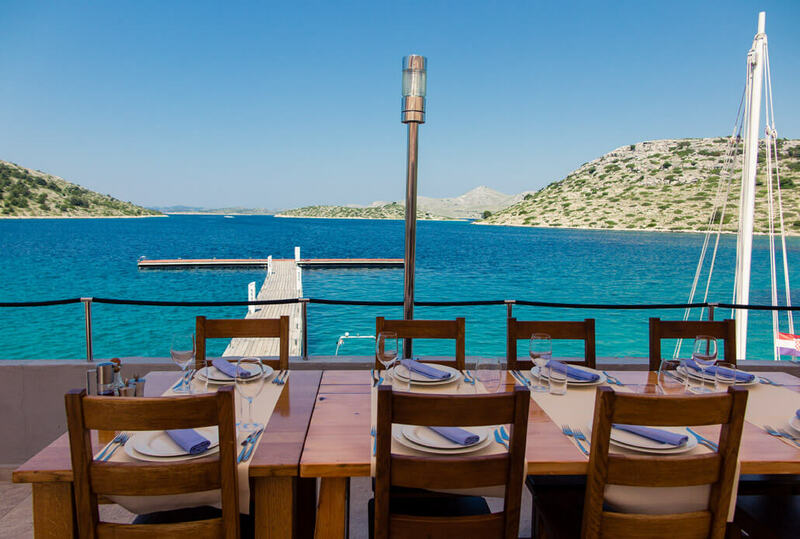 I hope you’re into fine dining, because you can have plenty of it in Šibenik! The Restaurant Pelegrini, housed in a small palace of the same name, is one of only two Michelin star restaurants in the whole Croatia. You’ll find it in the corner of Trg Republike Hrvatske occupied by the St. James Cathedral. We chose to eat at the slightly more modest Gradska vijećnica (City Hall) Restaurant and the food there was absolutely amazing. Imagine fresh seafood in salads, risottos, incredible homemade bread and delicious desserts. Plus, we could sit outside, right on the beautiful white stone grounds of the main Square, with the exquisite view of St. James Cathedral. We had a live music accompanying our dinner, as well as excited shrieks of children running past. 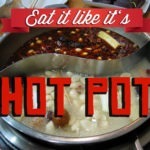 This was truly one of my most memorable restaurant experiences ever! The white tiled Square Trg Republike Hrvatske – that’s where we had our dinner! 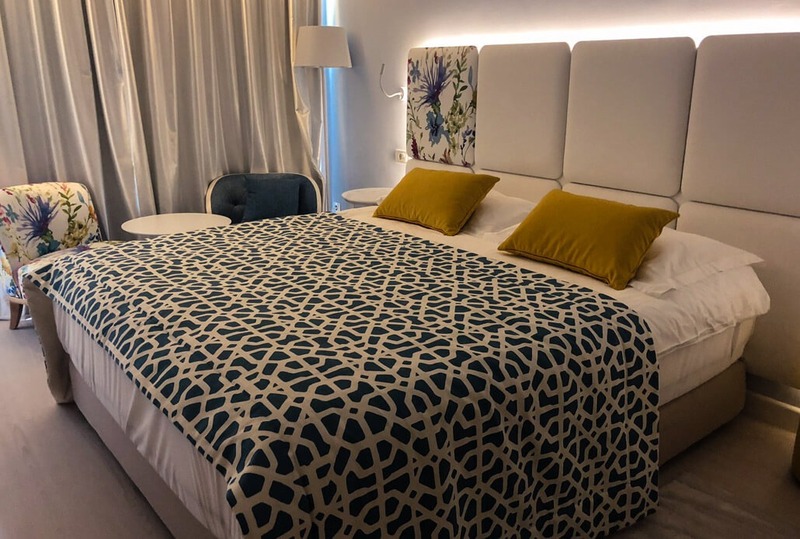 I stayed at the Amadria Park Jakov located near Sibenik City. This 4-star hotel has been renovated and just reopened its doors in 2018. My room was spacious (incl. a bunk bed for kids!) and beautifully designed. The breakfast buffet was so diverse and abundant I had to fight with myself every single morning not to overeat! The hotel complex also features a little Dalmatian Ethno Village. You can stroll the little streets, admire the houses, see the handicrafts, sit down for a glass of wine or even have a full on meal. I only went there to have a quick look and found it adorable! 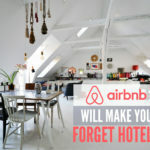 The hotel provides transfers to the city of Šibenik and other locations. Isn’t the Dalmatian Ethno Village Cute? Flying is the most recommended way of getting to Sibenik, of course. With that said, the nearest airport to Sibenik is Split, second nearest is in Zadar. 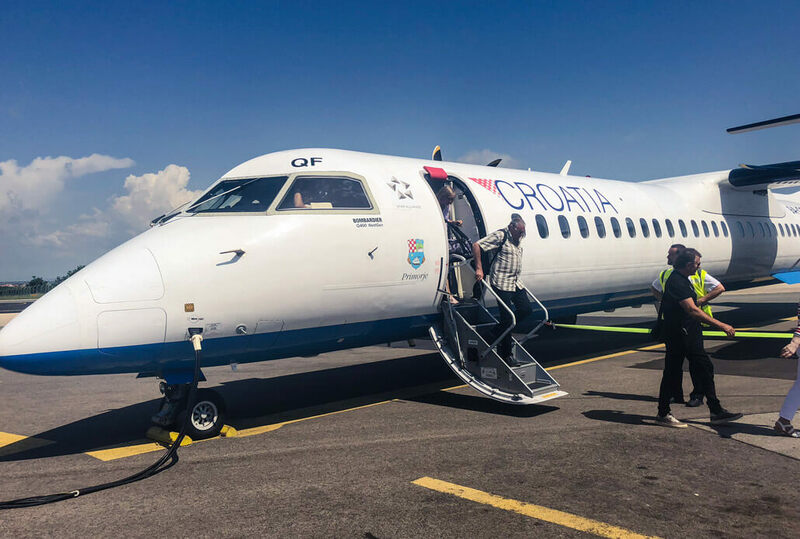 Croatia Airlines flies from most European cities to Zagreb and then offer convenient connections to other cities from there. We flew in from Prague via Zagreb to Zadar. On the way back, we flew from Split via Zagreb to Prague. 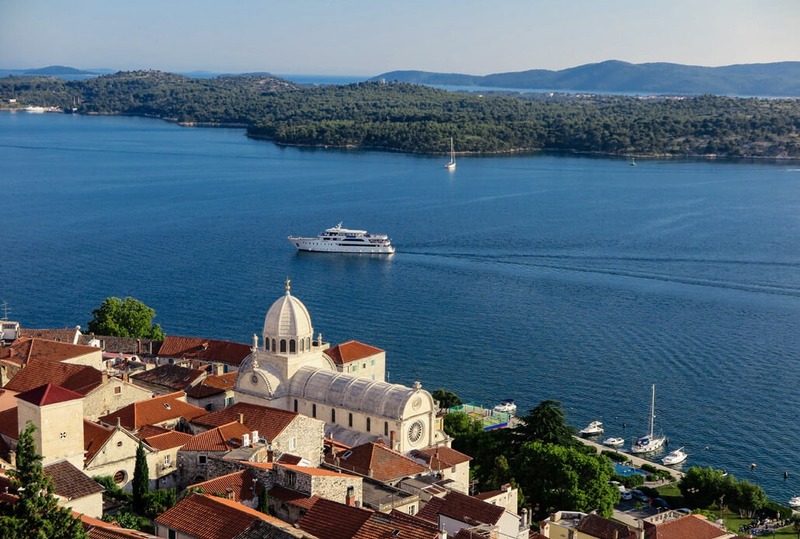 It’s easy to fall in love with Šibenik. You can feel the history in the small winding streets, there’s a lot of quirks and details to see and the presence of the sea permeates the atmosphere. 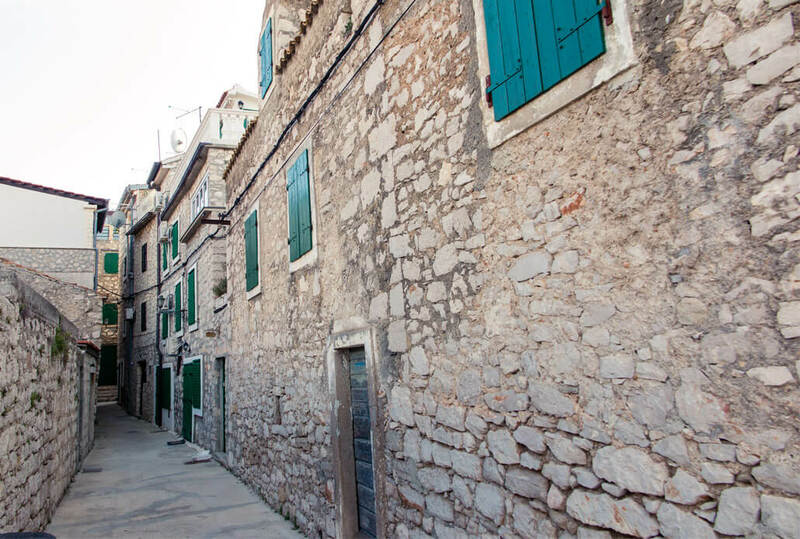 If you love beautiful old cities, you too will fall for Sibenik town. 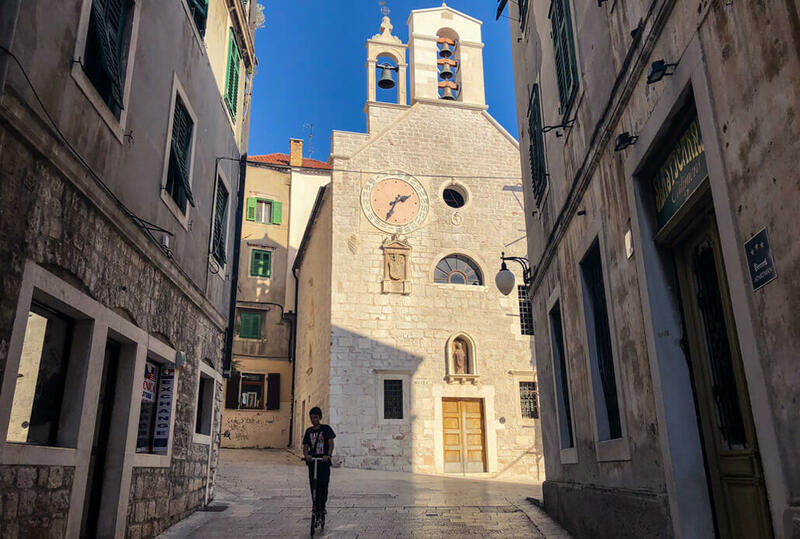 For anyone asking if Sibenik is worth visiting – I offer a resounding YES! 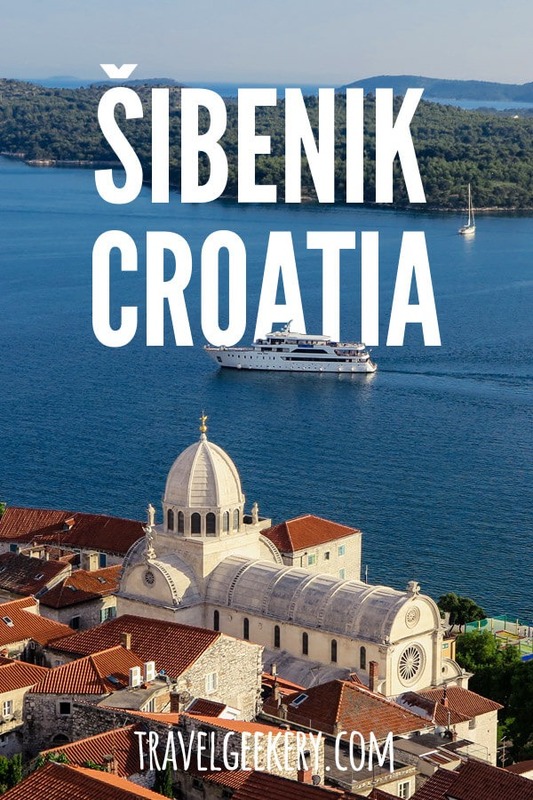 So come visit Sibenik and spend a full day. I can guarantee that Sibenik in the evening is even more breathtaking than under the glistening sun. While the charming seaside town of Vodice certainly is interesting on its own, there’s a lot lying just outside the town borders! Arauzona (Velika Mrdakovica), which was the real highlight. 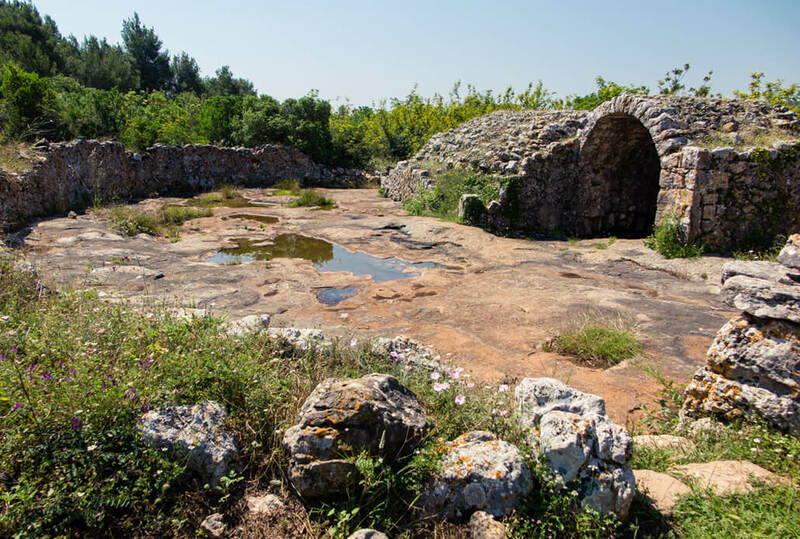 On top of a small hill, this ancient settlement from 4th century BC was uncovered. The important Liburnian / Roman settlement was protected by defensive walls, and a large number of tombs were found here, together with unique ritual cups made of glass (only 18 of which exist worldwide!). At the time of our visiting, there was an archeologist hard at work, who showed us a few nails he dug up that day! Also, the views from Velika Mrdakovica are stunning. We finished the ride off at a local winery, owned by the Birin family, where we tasted some purely local wine varieties: white Debit and Maraština, red Plavina and a Rosé mixture. 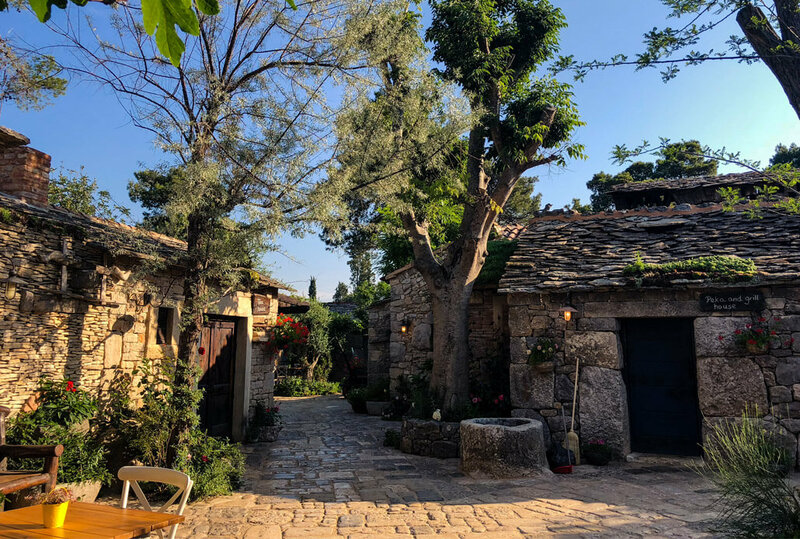 The quality of this relatively young winery is also demonstrated by the fact that the wines are offered in the Michelin star restaurant in Sibenik – the Pelegrini. The olive oil that the family produces is exquisite too and can be drunk just as easily as the wine. Tried and tested! Some awesome music festivals also take place near Vodice. If it’s your first time hearing the name of Faust Vrančić, then you should know he was one of Croatia’s greatest inventors. Born in 1551 in Šibenik, Faust Vrančić spent a great deal of his life also in Prague, Rome or Venice. He was a so-called polymath – not only did he ‘invent things’, he was also an acclaimed writer and a historian. In the museum, you can watch a fun video portraying his inventions and early life as well as numerous drawings and models. He was the first to construct a workable model of a parachute! He came up with the first iron bridge construction – that was back in the 19th century before modern physics. He tried his hand at the first diving costume made of pig stomach filled with air. He made something that resembles nowadays’ turbines. And, as a side job to the routine work of an inventor (kidding! ), he put together a 5-language dictionary, including Latin and Croatian. Faust Vrančić was well ahead of his time with his inventions, but other inventors would follow in his footsteps decades later and develop working products. In fact, National Geographic has recently constructed a parachute based on the drawings of Faust Vrančić and it worked! 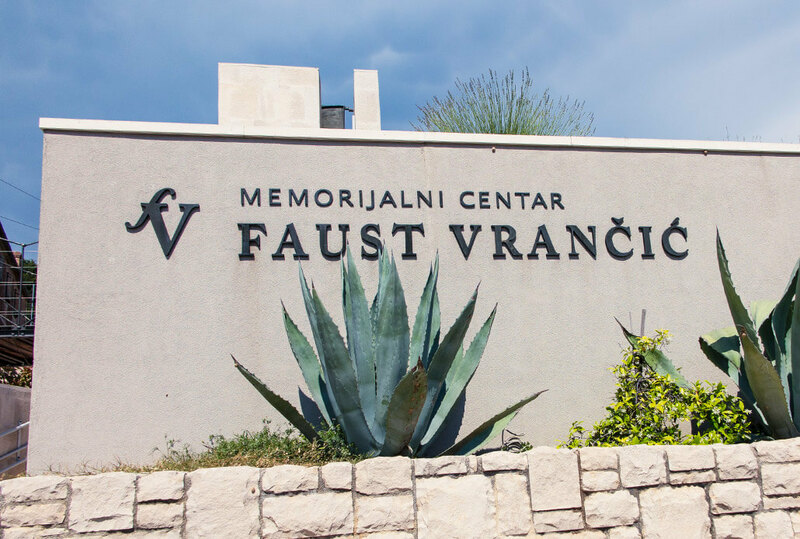 Check out the Faust Vrančić Memorial Centre Website. If you’d still like to explore some more of Prvić Island, check out the Šepurine village. Small and charming, the village features a church with a clock tower, relatively quiet streets (again, no cars here!) and a summerhouse of the Vrančić family. Šepurine is lined with beaches. Most of them are just small and rather intimate. Pick your favorite one and stay for a few hours to refresh in the cool Mediterranean waters. 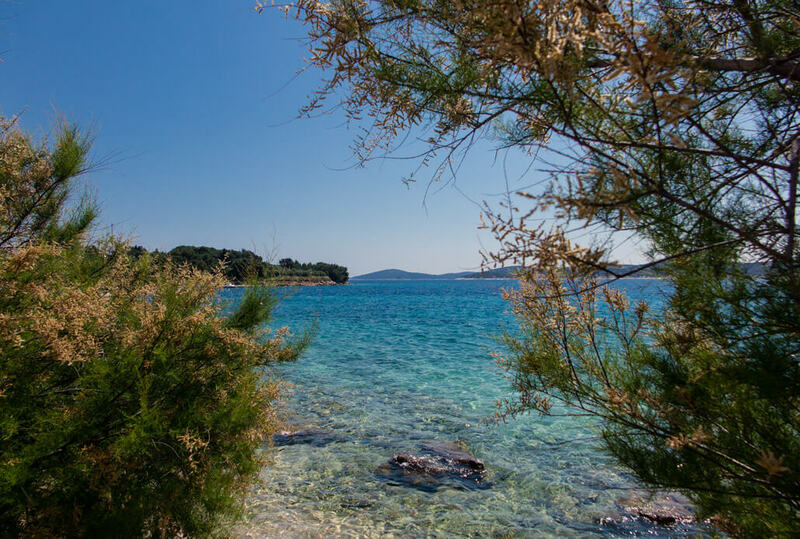 The whole Prvić Island is walkable and you’ll have it close everywhere. To get to the Prvić Island, you need to rent a boat. We used Mr. Marko Huljev and had a lot of fun on his cool boat! His phone no. is +385 98 825 729. A beautiful fishing village with its Old Town located on a small peninsula connected to the mainland with an old stone bridge. There’s not that much to see on the Peninsula, but that’s okay because the narrow streets and historical houses are the real draw here. 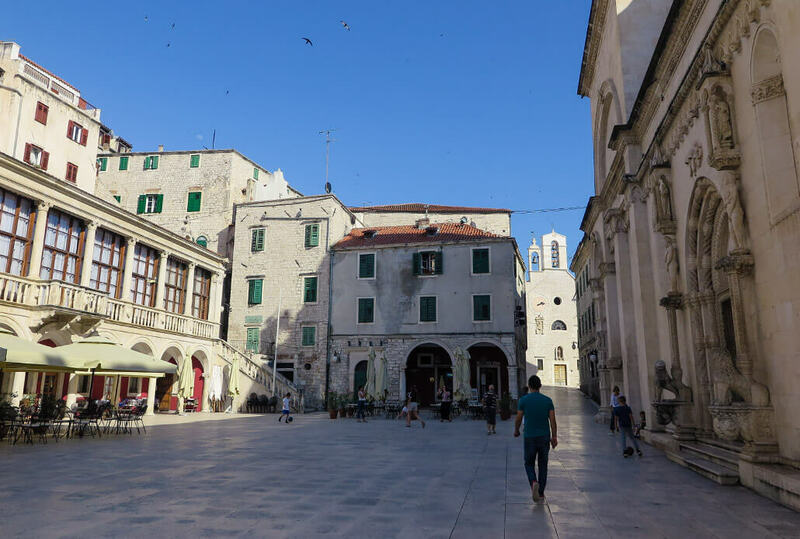 Even Tribunj has its own troubling history, but in the past when the Venetians lived here, in a moment of crisis the Croats and Venetians joined the forces to fight off a Spanish attack. When you visit this little fishing town, you can also run up to the Church of St. Nicholas located on a hill nearby to get a good overview of the area. If you’re visiting while hungry, you must try their fish and/or seafood. It’s fresh every day. Betina is another small and charming Dalmatian seaside village. Other than a nice Baroque church and a maze of narrow streets often cobbled with pebbles from the sea, people flock it for the shipbuilding museum you can find here. 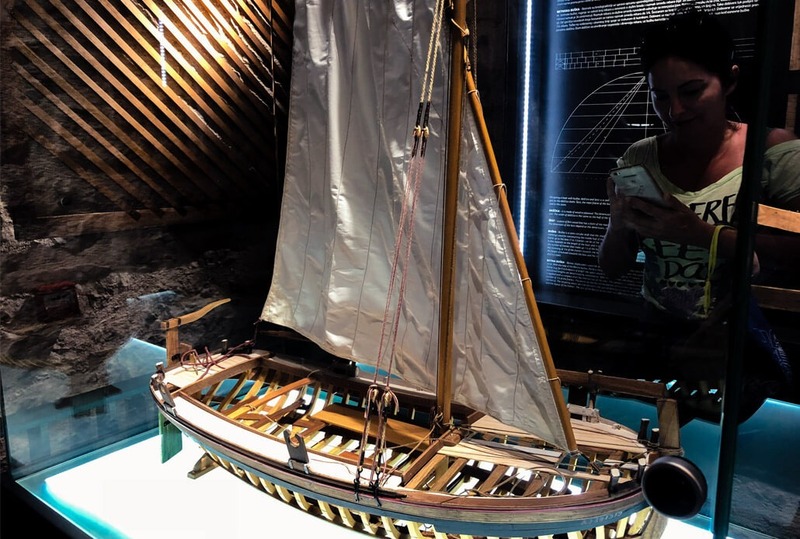 See, building wooden ships is a centuries’ old Betina tradition. Until 1948 shipbuilding here was big and flourished. After that? Not so much. 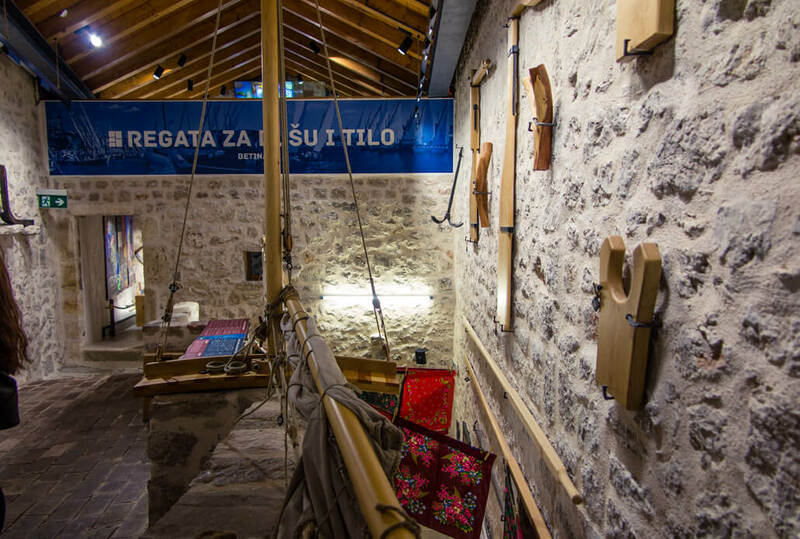 With its doors opened only since 2015, the Betina Museum portrays the tradition of shipbuilding in Betina, as well as some of the most famous ships such as the Gajeta, a ship in use since the WW2, in which it transported refugees. You’ll see what a typical shipbuilder’s house looked like and other interesting little details from local life back in the days. Stroll along the small Betina harbor and admire the colorful wooden boats, knowing local craftsmen built them all by hand. Betina Shipbuilding Museum website can be found here. The Kornati National Park is a large archipelago of 150 islands and islets dotting the Adriatic Sea near the coast of Croatia. This National Park scores high on the beauty levels, and it’s absolutely deserted! Nowadays, most of the islands are used for sheep farming and olive growing. There’s currently around 2,000 sheep and 80,000 olive trees! In the past, people would even live there, when they had no other choice. Most of the land today is privately owned. 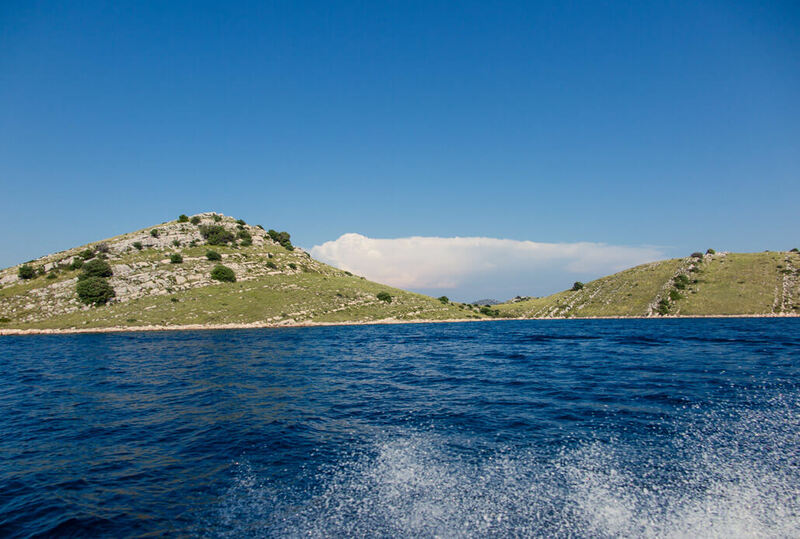 Many Kornati park tours stop on the Mana Island. 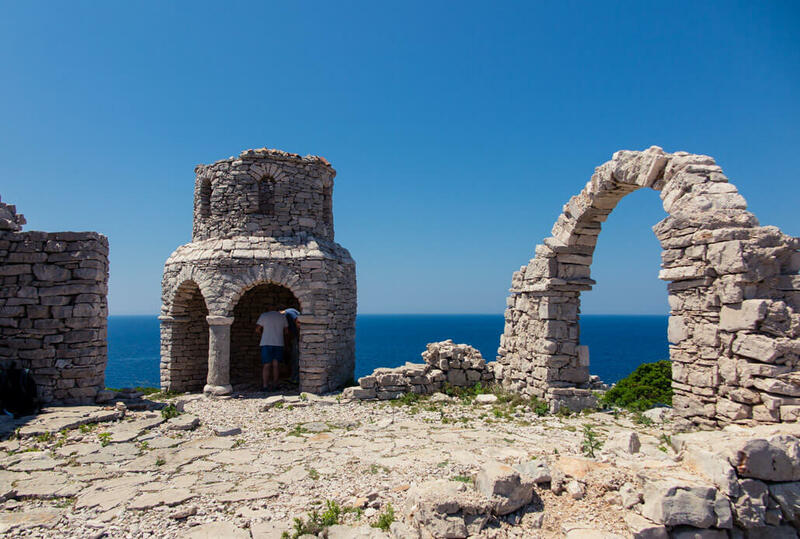 But don’t be fooled by the ancient looking structures dotting its top – they were built as a part of a 1950 – 1965 movie set for a film produced by Germany & Yugoslavia, supposedly depicting Greece. On the last day of Creation God desired to crown His work, and thus created the Kornati Islands out of tears, starts and breath. If you can, pay a visit to Levrnaka Island with its excellent restaurant cooking amazing delicacies straight from the produce of the sea. I think I’ll never forget the lunch we had there, looking at the sea while eating! 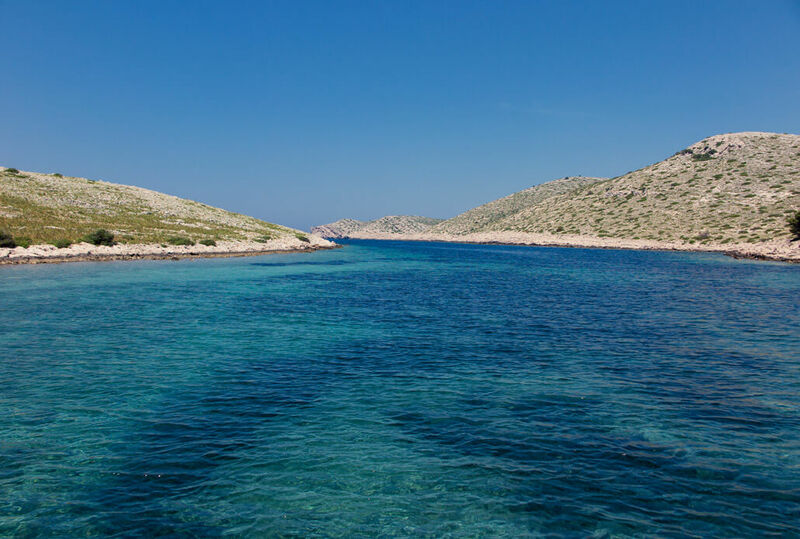 You can visit Kornati by private boat e.g. from Murter, the closest seaside town. 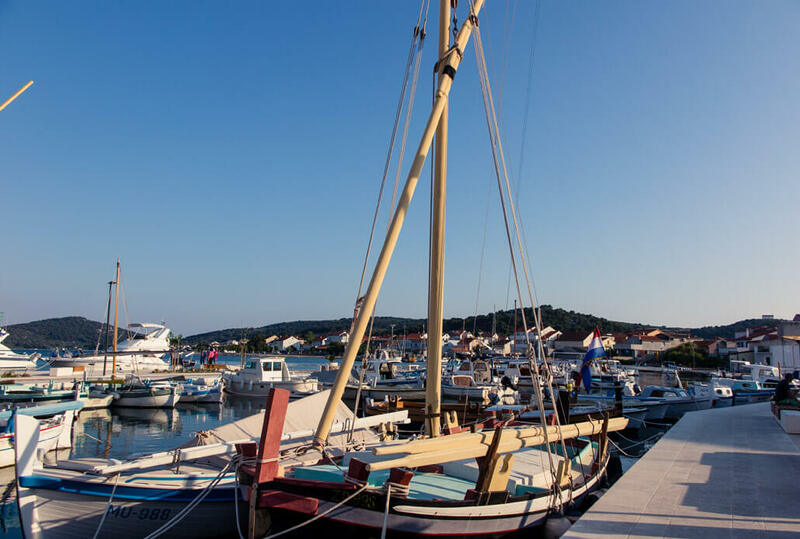 Simply hire a boat in Murter – most of the boats anchored in Murter port are just waiting for their Kornati passengers. But be early – departing at around 9am is recommended. 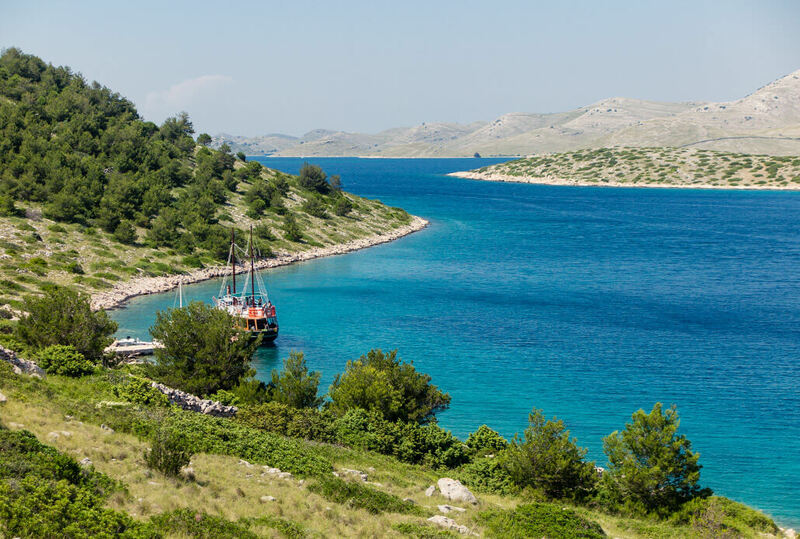 In Murter you’ll also find the Kornati National Park Office, where they can give you all information related to visiting the beautiful Kornati. I couldn’t get enough of the views! Climbing to the top of Mana Island does pay off. Can’t recommend doing it in flip flops though. Views from Levrnaka Island.. Some people came with that old boat! 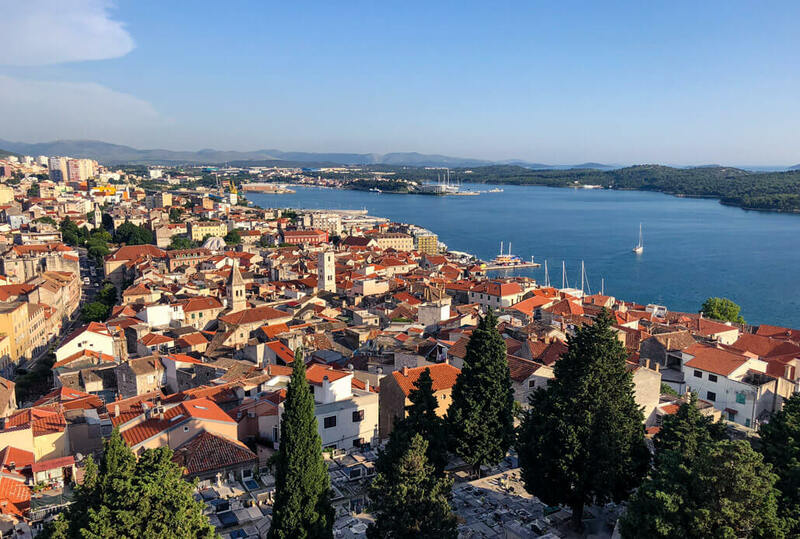 See also this post on a 1-week Croatia itinerary. 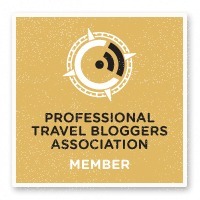 Let me know what you think and whether you visited any of the places in Dalmatia. 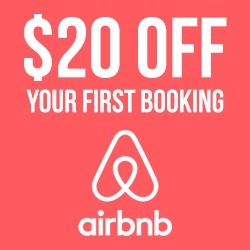 I’ll look forward to hearing about your experience! 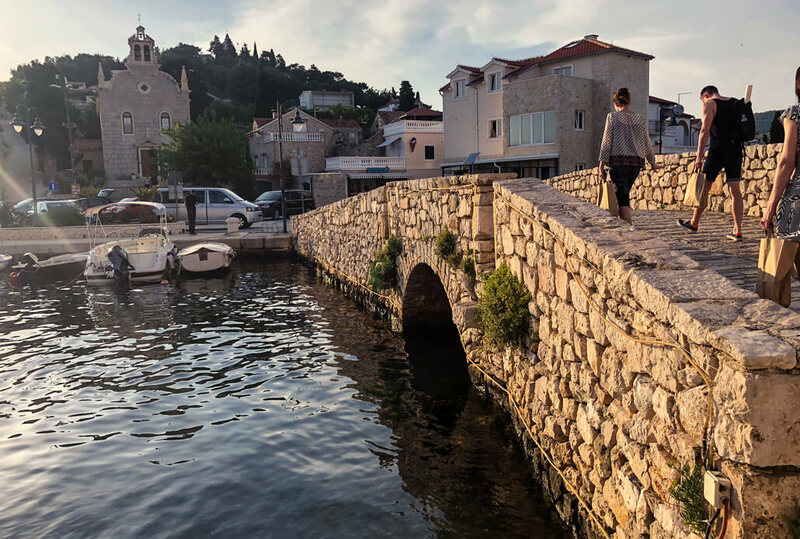 Disclosure: Veronika Primm participated on a press trip to Croatia organized by the Croatian Tourism Board and Croatian Airlines. All opinions are, however, her own and unbiased. Whoa! These are exceptionally beautiful photos! I love each frame – the walls, the windows, the sea and everything!